Mirova was in the limelight back on 13 February in London at the annual Project Finance Awards given by Project Finance magazine. This distinction rewarded Mirova’s infrastructure team for its participation in the project for the future Nîmes-Montpellier rail bypass. The project was awarded the 2012 European High Speed Rail Deal of the Year. “The Nîmes-Montpellier high speed line is part of the extension of the existing high speed lines, Paris-Lyon and Mediterranean towards Spain. It will provide an additional link in the construction of the European rail system. Both freight and passenger trains will be able to run on the new line”, explains Gwénola Chambon, portfolio manager of the FIDEPPP and FIDEPPP2 funds. Mirova’s Infrastructure1 team is involved in this project through FIDEPPP2 (Investment and Development Fund for Public-Private Partnerships) which enables the State and local authorities to carry out their infrastructure and equipment projects in partnership with private companies, financial and industrial investors, which invest jointly with the fund. This 25-year public-private partnership for a high speed rail line was signed between Réseau Ferré de France and Oc’Via, the main contractor, whose mission is to finance, design, construct and maintain the new line. Oc’Via, the main contractor, was founded in June 2012 by a group of world-renowned industrial and financial operators specialising in infrastructure projects (of which FIDEPPP2). Mirova’s1 Infrastructure team finances infrastructure projects that address sustainable development issues and generate regular cash flow over the long term. These investment funds in public utility projects are supported by public-private partnerships and finance a wide variety of infrastructure projects in France (universities, stadiums, hospitals, urban and rail transport, etc.). At end-December 2012, these public-private partnership projects represented a total amount of close to €6 billion. 1 Mirova is the Responsible Investment division of Natixis Asset Management. Within Mirova, the Infrastructure activity is managed by Mirova Environment and Infrastructure (formerly Natixis Environnement & Infrastructures). Mirova Environment and Infrastructure is a Mirova brand. 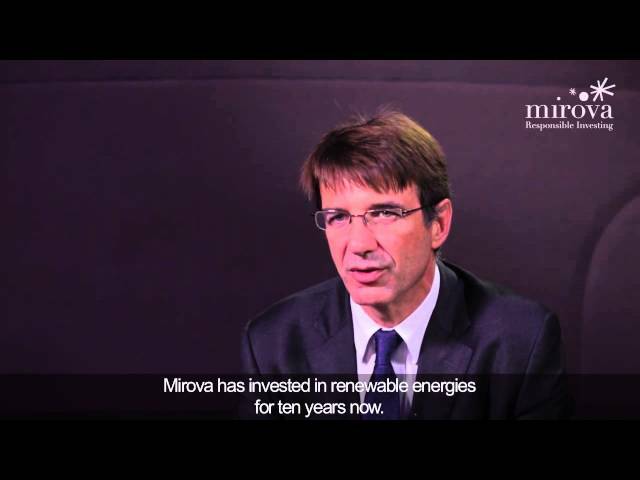 Find out more on www.mirova.com and on Twitter: @Mirova_RI. 2 At end-December 2012, Mirova’s Infrastructure team had more than €360 million under management in 4 investment funds dedicated to renewable energies and public-private partnerships in Europe: Fideme, Eurofideme 2, FIDEPPP and FIDEPPP 2.